For a completely different hotel experience, guests of the Swiss Belresort Coronet Peak boasts Queenstown’s only full size 7 lane ten pin bowling and entertainment centre ….. just in case you haven’t had enough exercise on the slopes or trails! And, Strike Bowl also offers guests a range of delicious snack offerings made to order in the hotels kitchen! Visit the new Strikebowl website at www.strikebowl.co.nz. 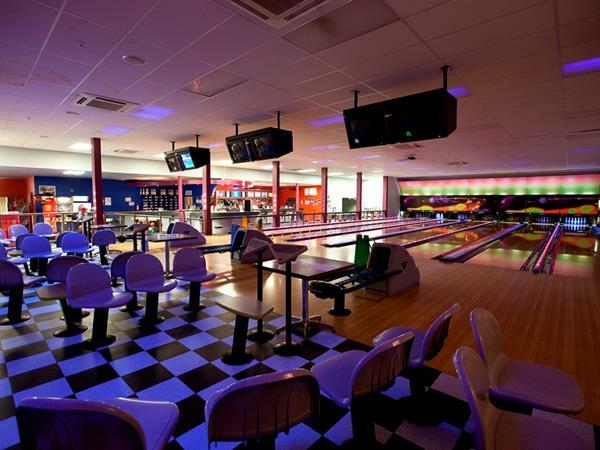 Queenstown’s only full size 7 lane ten pin bowling and entertainment centre is located just off the lobby of the hotel. Great for all ages, Strike Bowl brings more than just bowling but also Timezone arcade games, pool tables, air hockey and table soccer. Swiss-Belresort Coronet Peak offers guests a complimentary shuttle service to eliminate the stress of driving. Take the shuttle at one of our scheduled times, or at other times by arrangement if you are a Strike Bowl guest. The hotel offers a range of other activities and facilities for the pleasure and enjoyment of guests including petanque, volleyball, croquet & badminton playing areas, guest laundry and a ski-gear drying room.